I recently completed a 12-week work placement at Fenton Communications as part of a Master of Public Health degree. During my placement I worked on a project looking at diabetes in culturally and linguistically diverse (CALD) communities. The project surveyed health professionals to see if they would value communication resources that could enhance their understanding of cultural influences on diabetes care and management. The project was sparked by research that Fenton previously undertook to investigate a gap in the number of people from CALD backgrounds registered on the National Diabetes Services Scheme. This is significant because rates of diabetes in some CALD communities are higher than for the Australian-born population. An interesting insight from this work was that culturally sensitive health professionals were better placed to help people from diverse backgrounds. Working on this project I realised that while health professionals are often reminded how important it is to be culturally sensitive when working with CALD communities, there is little guidance on how to do this. Our online searches for cultural guidance resources specific to diabetes care returned no results. In the case of diabetes, particularly type 2, diet and lifestyle are important areas for health professionals to address with their patients. When so much of our cultural identity is embedded in the foods we eat and our particular lifestyle choices, having GPs that understand and appreciate different cultures can help build trust and compliance among patients. Coming from a CALD background myself and having parents for whom English is a second language, this made a lot of sense. For example, my mother has visited the same GP for the last 20 years. Interestingly, the rest of the family think she could receive better care from alternative GPs. Working on this project has reframed my understanding of mum’s preference for this particular GP: it comes down to his awareness and understanding of her cultural background, enabling him to build a strong rapport. I spent the first couple of weeks of my Fenton placement trying to understand exactly how the worlds of public health and communications work together. By the end of the project, it was clear that health communication is one of the most powerful tools we have to promote behavior change, particularly in a setting where the rise in non-communicable diseases like type 2 diabetes is rooted in human behavior. Encouraging behavior change involves better communication between patient and practitioner. Recently, there has been a shift in diabetes care that encourages health professionals to take a person-centered approach. This involves not only the clinical assessment of the patient, but also consideration of social and cultural factors, as well as the patient’s values, preferences and expectations. Encouraging evidence has shown that this approach results in better adherence to management plans, resulting in improved health outcomes. Working on this project has made me realise how much culture can impact health outcomes and the role communications can play in helping to better equip health professionals to work with culturally diverse patients. This is where the current problem with diabetes in primary health care exists: the lack of tailored cultural resources for diabetes care and management. 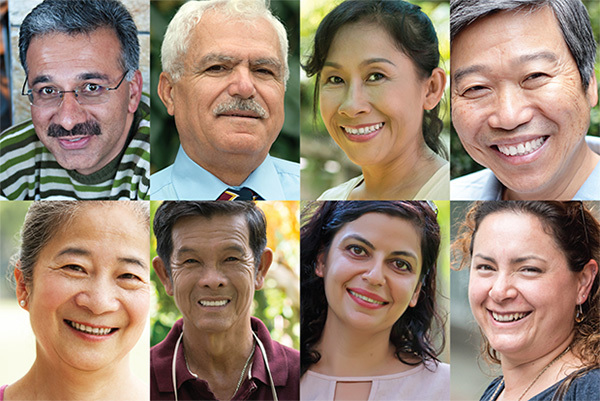 The partnership between public health and communications has the best chance of improving health literacy and health outcomes among CALD communities, through tailored, culturally relevant information.